In the startup world, the secret to success is to turn from a foal into a unicorn. This mythical term often refers to a billion-dollar valuation. Not in the world of sustainable startups! 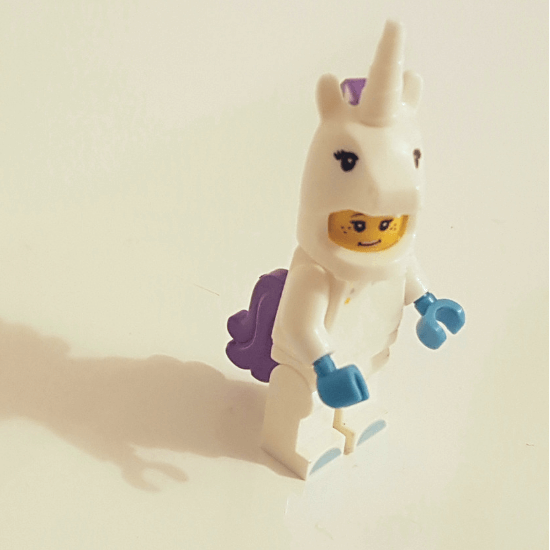 Here, achieving the unicorn status rather means, not only to be better than any potential startup competitor but to be the best offer in your whole industry – even better than established brands in the field. An ambitious aim, to be honest. But maybe this is not as hard to achieve as you might think. We have 4 tips for your startup how to become a unicorn in your industry as well as a best practice example: our Green Alley Award winner 2018, Aeropowder! Founded in 2016, they made first steps on wobbly legs like a foal until they evolved to an award-winning company that produces a sustainable thermal packaging made of waste feathers. 2018 has been a great year for Aeropowder and shows other startups what to focus on. A value proposition is the benefit you provide to the people who pay for your product or service and differentiates your offer from the one of your competitors. Aeropowder did a great job in this respect: First, they were able to develop an exceptional product with many benefits. Second, their product also meets the spirit of our age. Pluumo is a unique textile providing a solution for the surplus waste material feathers. This makes its production much more sustainable than competing products. Moreover, it possesses all the thermal features of other insulation materials without being harmful to the environment. What else could an environmentally conscious customer searching for an alternative way of packing food deliveries wish for? And indeed: In the middle of 2018 Aeropowder started to sell pluumo to customers. “This was a key moment that demonstrated we had developed from concepted to fully viable product, and one that other businesses were willing to pay for as well”, says Ryan Robinson, CEO and co-founder of the UK startup. But what exactly makes pluumo so attractive to customers? Ryan attributes a part of Aeropowder’s success to changes in the perception and general habits surrounding plastics and packaging. People, planet, profit: A sustainable unicorn startup does not only focus on making money. It also has a heart for the planet. But first of all, it has an ear for its customers. So, listen to the people you are selling your product to and find out what their needs are! Aeropowder found a great way to do this: They took the time to reflect on their work and tried to understand what really drives their business. This shows that understanding your customers really helps you grow and become better. In 2019, Aeropowder plans to start selling to multiple customers around Europe and to expand their manufacturing capabilities. To achieve this goal, the startup does not forget to consider the needs of all stakeholders involved. “We strengthened our partnership with our manufacturer, as our successes thus far helped all parties involved to understand how Aeropowder and pluumo would grow moving forward, especially in terms of manufacturing requirements,” confirms co-founder Ryan. To become a unicorn startup, you need to develop a product that convinces your customers and makes them happy. But a great product idea is not enough. It’s all about the execution! A committed team is key for this, as Aeropowder experienced last year, when they completed their first pilot manufacturing run, which involved the production of 5000 pluumo liners. Still, Aeropowder does not stop to improve their product and the processes involved. Currently they are working on fully automating their production process and are investigating the fastest way to produce the feather-based textile that is the core of pluumo, as well as to wrap that in a liner to form the finished product. “After all, large customers will require volume, and that means we need the manufacturing capacity to match”, Ryan explains. Another important product improvement, which is key to all sustainable startups, is the aspect of an end-of-life-solution for pluumo.